Right now, many hundreds of call operators across the nation are answering requests for assistance about housing, food, legal issues, family support, health care, jobs and schooling and much more. It is a smart concept: an easy to remember number, free and confidential, connecting needs and resources effectively and efficiently. 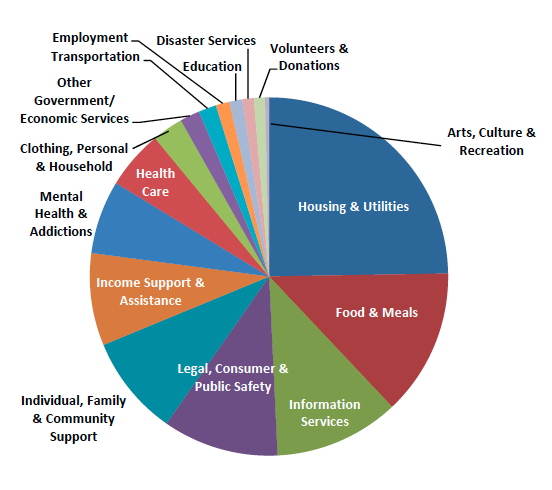 United Way Worldwide reports that more than 90% of the States are covered by 2-1-1 solutions, and that information specialists responded to more than 16 million calls in 2011, not to mention web site traffic, messaging, and other forms of access. With 90% of the nation covered, are we done yet? Not nearly. Leading 2-1-1s are transforming themselves from simple directories of services into professional managers of community information, providers of decision-making analytics, and proving themselves able to integrate solutions to leverage assets into outcomes. Community Information Management: 2-1-1s are transforming from list-keepers to community and state-wide hubs of professionally managed information. What was a source of information, are quickly becoming the trusted and necessary managers of community-wide information used to support inquiries from the public, state and county governments, nonprofits, and more--and able to do so every day, during disasters and emergencies, and for broad and specialized sectors. Decision-Making Analytics: While calls to 2-1-1 are confidential, analysis of de-personalized data yields important insights about met and unmet problems, trending needs, geographic distance between provider and client, impacts and outcomes, and the return on investments in the social and human services. 2-1-1s are increasingly able to blend the very human aspect of connecting, helping, and serving, with insight and analytics useful to decision-makers and funders. Integrating Assets Into Outcomes: The future of 2-1-1 will be defined by increasing integration of both people and technology. Resource directory and caller management software can be seamlessly integrated with telephony solutions. Social media, messaging and mobile platforms are being used to enhance access. Cross-sector data exchanges improve community response during emergencies. Nonprofits sharing 2-1-1 resource information are reducing data management costs, freeing up resources for client services. The Future of 2-1-1 is not only positive, it is necessary. When the economy drags, there are no resources to waste in the gaps between needing and finding help. When a family is in crisis, reducing the barriers to assistance reduces the pain. And when communities improve the connection between its assets and its needs then it is building resiliance, capacity, and strength for its own future. Congratulations 2-1-1, we are truly honored to support your work.